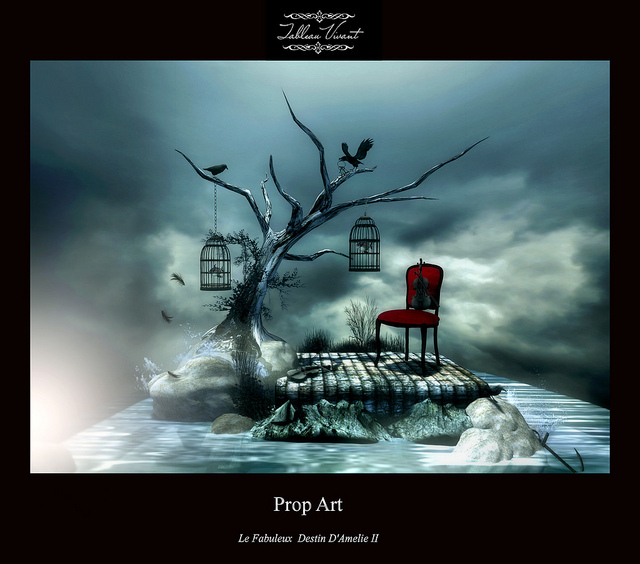 We are proud to release two new awesome creations of the amazing Loulou Teichmann: Le Fabuleux Destin D’Amelie I & II. 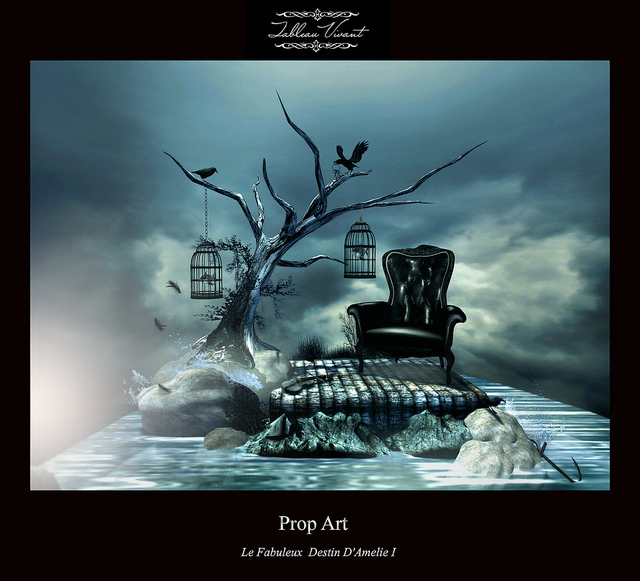 We are certain that photographers and bloggers alike will get inspired by these dramatic new sets by Tableau Vivant. 7 poses (4 female, 2 male, 1 couple). Both sets are available at our mainstore on the second floor. Click here for landmark. “This round is so aptly conceived as Metallic ‘everything’ is one of the biggest trends for Spring/Summer 2013. Silver foil skirts, shoes and heeled sandals are getting decorated with crushed crystals and metallic leaf plates & transparent details within mostly architectural shapes. Spring-Summer 2013 is about clothes that speak for themselves. Creations which evoke classic shapes and futurist metallic fabrics, there is no doubt 2013 & The metallic finish is out to reinvigorate our wardrobes and fast-forward style right onto trend. Plus it was pretty savvy to throw in Emerald green, although not having been in the driver seat in terms of fashionable influence since the 80’s, Pantone has named Emerald the color of the year for 2013“. Lythrum hair are available in regular colors and in a special emerald green tint, sold in the themed pack “Trending 2013” featuring the chosen five colors for this round. Our last 2012 release is a ‘customer’s choice’ design. 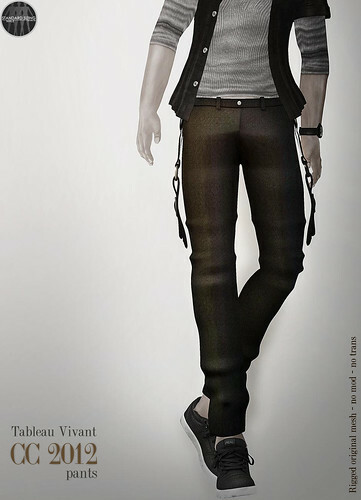 We were asked to do a low-rise pant as our mesh jeans with side belts as for the swat pants; the result is CC 2012 pants, released for the last 2012 edition of FaMESHed. Four colors available: blue, brown, grey and navy, 5 standard sizes, original mesh as always. Our group gift is still out if you haven’t picked it yet!